When Jin Hee was a little girl, her parents took her to visit art galleries and museums all around the world. This instilled in her a deep appreciation for the arts and gave her a wider view of the world. It was through these visits with her parents that Jin Hee realized that art - painting in particular - was a way to express your individual voice. This realization was important to her because it made her feel like she wasn't a stranger in this world anymore; it was a way she could communicate with others. This set Jin Hee on a globetrotting artistic path. 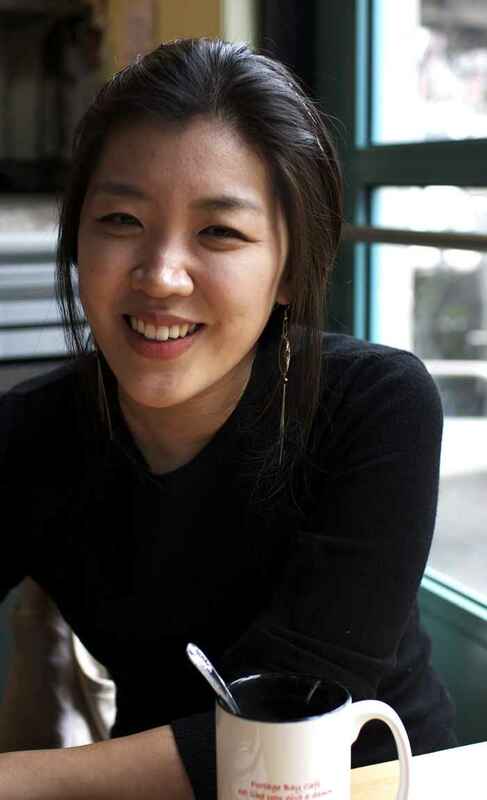 Born and raised in Seoul, South Korea, Jin Hee currently considers San Francisco her home. She graduated from The Academy of Art University in San Francisco in spring 2010 with a B.F.A in Painting. Throughout her undergraduate program she experimented with different styles and forms including, but not limited to: figure painting, still life painting, landscape painting, abstraction and mixed media. Just like a poet who needs to learn words to write, these classes helped her build the foundation necessary to fully express herself with her artwork. In the Fall of 2010, she decided to pursue an M.F.A in painting at her Alma Mater, but this time to focus on her own artistic voice. Her time in the Masters program was spent observing everyday life around her. She created harmonious figures or objects within their environment. Her works also aimed to incorporate the feeling of that particular moment. She wanted the viewer to feel the beauty of her memory in everyday life. Presently, Jin Hee has continued with this series of harmonious paintings in their environment, which have begun to take recognition nationwide.